Chaitra Navratri 2018 Date and Time: Devotees worship 9 incarnations of goddess Durga for nine days to seek the blessings of Maa Durga. Hindus do fasting by chanting mantras and reciting shlokas during Navratri. Navratri after Holi 2018 will be falling in the month of March and will be lauded from March 18, 2018 (Sunday) to March 26, 2018 (Monday). Make sure you celebrate the auspicious nine-day festival with your family and friends in order to seek the blessings of Goddess Durga. Check out the Navratri 2018 date, time, significance and puja vidhi for Chaitra Navratri 2018. Chaitra Navratri 2018 Date and Time: There are two major Navratris out of four which are thoroughly celebrated by the Hindus across the world. Devotees in large number celebrate the Chaitra Navratri and Sharad Navratri in March and October. Chaitra Navratri is lauded during the month of Vasant and Chaitra which is also the beginning of spring season. The Chaitra Navratri 2018 Dates worship nine goddesses of Navratri to get the blessings. 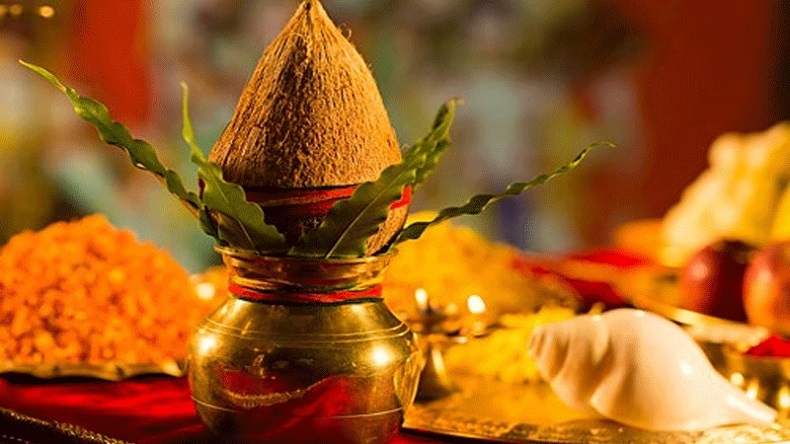 The word Navratri means ‘Nine nights’ which is also the longest Hindu festival of the year. During Navratri, the 9 forms of Goddess Shakti are worshipped for nine days. Devotees worship Maa Shailputri, Brahmaachaareenee, Chandraghanta, Kushmaanda, Skandmaata, Kaatyaayeenee, Kaalraatree, Mahagauri and Sidhidaatree to seek her blessings. Unlike, Chaitra and Sharad Navratri, the Gupt Navratris are celebrated secretly or without much fuss. Just like the other two grand Navratris, fasts are kept, donations and gifts are given and prayers are performed by reciting shlokas. People pay obeisance to 9 little girls by touching their feet and serving them food. Hindus visit mandir every day for 9 days of Chaitra Navratri. Devotees keep fast and offer prayers to 9 Goddesses and at the 9th day of the Navratri, devotees pay obeisance to nine little girls by serving them food and even a gift. After the girls are called home, people break their fast by eating aloo, puri and halva as a prashad.